Do you have a folder with many files and file types in it ? Sorting those files reminds me a lot of two famous stories I heard when I was a child, namely those of Cinderella and Sisyphus. If you ever tried sorting a folder with 10000+ files you know what I mean. I always thought that it would be great to have a freeware that would help me presort the files and let me do the fine tuning afterwards. I thought it would be a nice idea to take a quick look at all of the Playstation 3 launch titles. As you all know the PS3 was released yesterday in Japan and will be released in the United States on November 17th. Europe, Australia and the rest of Asia will have to wait another 4+ months before the PS3 makes its official debut. Please note that everything that follows is my impression of the launch titles, it does not necessarily mean that the games I do not like are bad, it simply means that I would never buy those games. Did you ever upgrade the hardware of your computer with, lets say, a new graphic or sound card ? Did you know that the drivers and registry settings of the old cards are still on your system and normally not removed ? This could let to errors especially if you did install additional utilities that try to speed up video playback for instance. 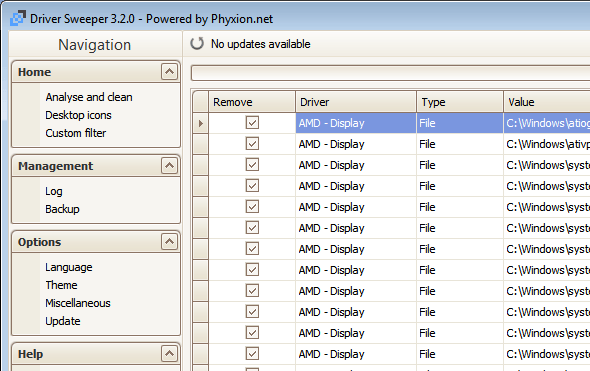 I'm going to show a way to remove all those obsolete drivers and registry settings. Some scene guys apparently released a driver for Windows XP that makes it capable to connect and detect the Xbox 360 HD-DVD drive that was released a few days ago in the United States. I do not own a Xbox 360 nor the HD-DVD add-on (of course) but this could be great news for some of you guys out there that do own both. All you need is to get hold of the driver which was released under the name XBOX360.HD-DVDRom.UDF.Reader.v2.5.WindowsXP-BluePrint. Websites sometimes split movies into smaller parts to make it easier for users with low bandwidth access to the internet to download the movies without facing problems like timeouts. Once downloaded it is rather tiresome to view such a movie because you have to click on each part which naturally means a short pause between the last and the next movie. True Combat Elite is a total conversion of Enemy Territory. Both games are free which means you can just visit the developers website and download them to your computer and start playing the games. Versions for PC, MAC and Linux exist. The installation itself can be a bit tricky at first, let me guide you through that process later on in this article. 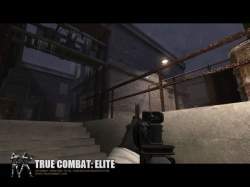 True Combat is a modern warfare game similar to Counterstrike Source, you play either on the Terrorist or the Anti-Terror side. What do you do if you want to access one of the administrative programs in Windows XP ? You click through various menus most of the time to reach the destination. If you wanted to reach the Device Manager you would have to click on Start, Control Panel, System, Hardware Tab and then the Device Manager. The uninstaller that ships with Windows is slow and lacks functionality. You have to enter your control panel, click on add or remove programs and a new window with most installed programs pops up. Information in that window are scarce - only the program name and the size of the installation is displayed. You do not see the directory the software is installed, the registry keys it is using or the name of the company that developed the software. The freeware Auto Window Manager adds additional functionality to the way windows manages the windows it displays. You could for instance customize that whenever a program opens it opens in maximized, minimized or default state. This setting should work with most programs and windows, i tried it with firefox and thunderbird for example. This tip is for those users who like to maximize the width and heights of web pages that they visit. You might have noticed that the menu bar in firefox takes up a complete row at the top of the screen. I always pondered with the thought that there had to be a way to make it either smaller or merge it with the navigation bar. Enter Tiny Menu. 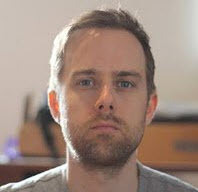 I decided to read more about open dns after I read Evertons article "Does open dns really speed up web pages" on his great website connected internet. He was trying to find out why a dns service that was using servers in the United States would be faster than the dns service offered by his own internet service provider. The connection to the latter is of course faster than the connection to the open dns servers - so, why would it be faster or even more reliable ? Ipods can be compared to small computers that thankfully do not run on a windows operating system. They still tend to spit out an occasional error once in a while. Most of the time it either freezes, is stuck in disk mode or displays other errors that are not that common. (like icons that should not be there). If you want to move folders that are automatically created by windows xp on your c: drive to another path or folder you might face a problem. Simply moving the folders won't work which means there must be another way to relocate them. The easiest way that I've come up with is to use the freeware called Folder Redirector which makes it simple and fast to redirect the following folders to a different folder or drive on your system. I don't like those big subway maps that you get for free when you visit cities like London, Paris or New York. They are big, they tell everyone that you are a tourist (attracts criminals) and not that handy if you need a quick answer about a certain subway you need to catch. The email client Thunderbird does not necessarily retrieve messages from all of your mail accounts at startup. By default the first mail account will be checked on startup and all mail accounts will be checked every ten minutes. The following user.js tweak changes this behavior in the way that Thunderbird retrieves mail from all accounts at startup as well.